Have you ever wondered why one 1000 lumen flashlight is rated for 250 yards of throw while another seemingly identical flashlight boasts distances over 400 yards? Do you know what it takes to make the longest throwing flashlights around? If you’ve spent any time looking at today’s LED flashlights, you’ve probably seen the terms “flood” and “throw” used to describe the beam of a flashlight. Flood beams, as the name implies, provide a wide-angle beam with a more even distribution of light when compared to flashlights considered to be throwers. Throwers, on the other hand, have a beam that is optimized to get the most throw distance (that is, how far away the light can be seen) and usually feature a focused, hot spot of light in the center of the beam profile. What Makes a Flashlight “Throw”? On its own, an LED or light bulb emits rays of light in all directions — which is okay if the goal is to create ambient lighting in a small space. If you want to create a true “beam” of light that can be directed like a flashlight, you’ll need something that can collimate your light source. Collimate is the scientific term we use to describe what’s going on inside the reflector of your flashlight and means “to make parallel.” When a flashlight is turned on, waves of light are reflected off the sides of the reflector and collimated into a focused output with a concentration of beams running parallel to each other in the center. The better a flashlight is able to collimate light, the more intense and farther the beam can be thrown overall. Shape: If you look at the reflectors on our long throw flashlights like the NITECORE P30 or MH40GTR, you might notice they all use the same general shape. That’s because these flashlights take advantage of what’s known as the parabolic effect. You can find a fantastic article here that demonstrates the effect different reflector shapes have on light output. This same principle is used by telescopes, satellites and recording equipment! For the TLDR; version, what it’s important to know here is that by using an elongated, parabola-shaped reflector, a flashlight is able to collimate light in a very effective way that creates the hot, focused center that’s the hallmark of a throw flashlight. Size: Another factor that controls how much distance a flashlight can throw is the overall diameter and size of the reflector. As a general rule of thumb, the wider and deeper the bezel of the light is, the more throw that can be achieved. Texture: You might have seen the terms Smooth or Orange Peel used to describe the texture of a flashlight bezel. Although this has less of an impact on throw distance compared to the shape and size of the reflector, the best throw distances are achieved by smooth, highly polished reflectors. Closely related to the reflector design in terms of impact on throw distance potential of a flashlight is the technology behind the LED used. It’s not a coincidence that the longest throwers are also often our brightest flashlights. In general, the higher peak beam intensity rating given to a flashlight, the better throw distances are possible. CREE, one of the most well-known and trusted LED manufacturers, also engineers LEDs specifically to maximize throw distance. 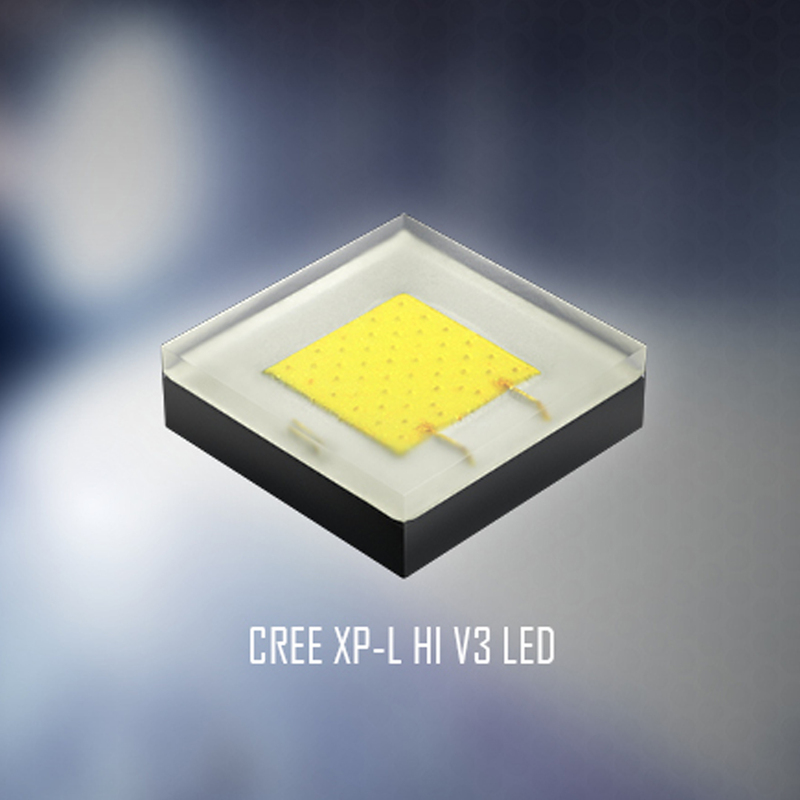 These LEDs are noted with “HI” at the end of the model name such as the CREE XP-L HI V3. The final piece to the puzzle is the lens of the flashlight itself. 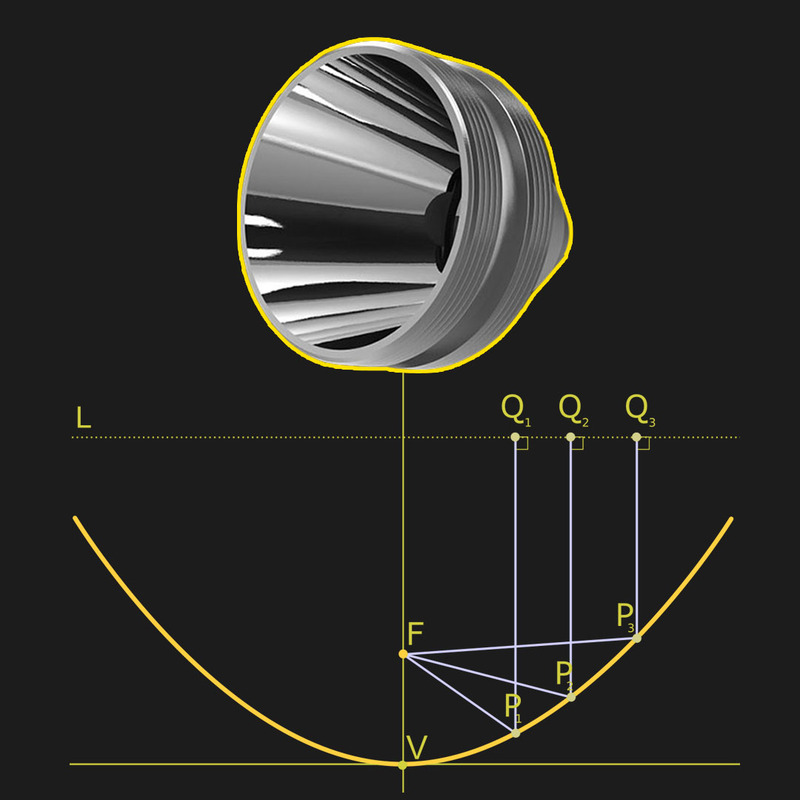 In order to create beam profiles with little to no hot spot and a very even transition of light outwards, flashlight manufacturers often rely on additional shaping/patterning on the lens of the flashlight to help distribute light smoothly. You’ll see these flashlights advertised as having TIR (total internal reflector) optics and while they’re excellent for EDC tasks, you’ll want to avoid anything but a nice, smooth lens for maximum throw distance. When Do You Need a Thrower? Now that we’ve assembled the dream conditions for our thrower, you might be wondering when anyone actually needs one! Aside from the very obvious “cool factor” that comes with carrying a flashlight that can point a beam of light the length of several football fields, there are some very specific situations when a throw flashlight becomes a necessity. Law enforcement: It’s impossible to overstate how beneficial it is to be able to inspect a situation while keeping your distance. From investigating strange sounds to commanding a suspect’s attention, the hot spot of a throw flashlight is exactly what you need to quickly identify potential threats and assert yourself. Search and rescue: A throw flashlight doubles here as an illumination tool, allowing you to light up long distances so you can cover ground more effectively, but your beam can also serve as a beacon to those you’re searching for. Emergency signaling: When an emergency strikes — whether you need to be rescued from a flooded urban building or a broken leg deep in the wilderness — flashlights make an incredibly effective signaling tool which is why so many flashlights include special SOS and Beacon flashing modes. If you’re ever in a position where you need to use your torch as an emergency beacon, you’ll appreciate the longer throw distance which can increase your chances of being spotted. Land management: Ranchers, farmers, and those of you who live out in the country likely understand the importance of having a flashlight that covers serious distance. Throwers will let you search and inspect over greater distances, so you don’t have to get up close to investigate intruders, missing livestock and other issues that arise in the dark. There’s one final advantage throw flashlights have that we feel is worth noting: in order to achieve some of the higher lumen outputs, many throw flashlights will use a 2x 18650 battery configuration to power the light. Some prefer this option over more compact 1x 18650 flashlights because the body tube tends to be longer and provide a better grip overall and can also double as a club if needed. The larger battery source also increase runtimes so you have to replace and charge batteries less often. These flashlights all have one thing in common: they are rated for a minimum of 400 yards of throw distance! Now you can quickly compare our longest throwers to pick out exactly what YOU need. You did yourselves a disservice by not adding the EA45S to that list. At 402m/439yds of throw from just 4xAA batteries it is a seriously underrated pocket-friendly light at a great price. The EA45S is absolutely a great flashlight, however, it was left off the list because it was discontinued by the manufacturer and no longer available in our store. So sorry to hear that! My favorite flashlight! Great article and explanations! Just wondering why the TM38 isn’t included on the list? Honestly, a bit of an oversight. We’ll add it to the list! oh gotcha!! Otherwise great list! It makes it easy to choose a light when we’re looking for a thrower! I have your NU 25 headlamp and your Nitcore thumb for backpacking. I’d like to see a similar breakdown for your smaller lights. 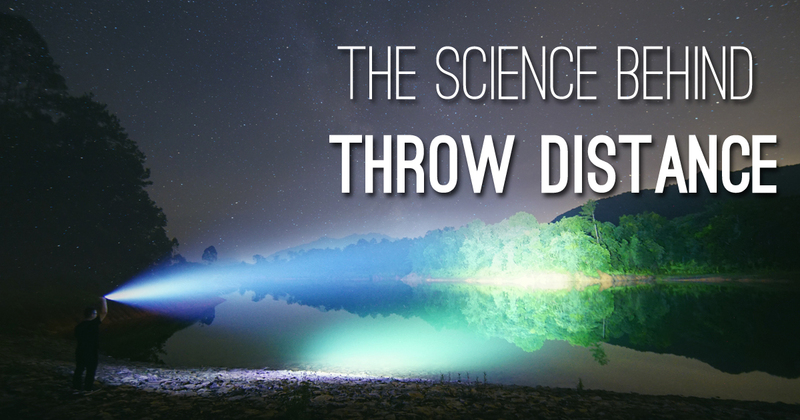 When hiking at night “throw” distance can be a good factor. Very interesting article. Lots of good info.